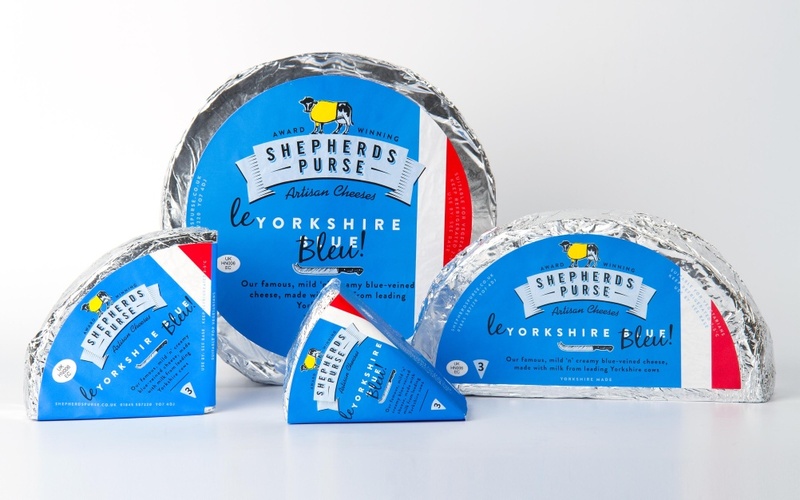 Robot Food has given Shepherds Purse Yorkshire Blue cheese a makeover in honour of Le Tour de France. 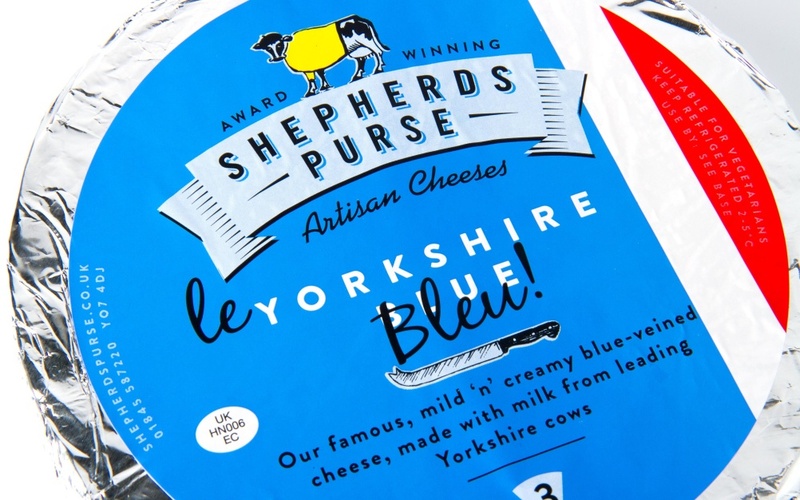 Next month the opening stage of the race, Le Grand Départ, is being hosted in the county of Yorkshire, which is home to both Robot Food and Shepherds Purse. The consultancy has renamed the special edition product Le Yorkshire Bleu, and as Yorkshire Blue labels are already blue Robot Food has added red and white stripes in homage to the French national flag. The cow, featured at the top of the packaging, has been given a yellow jersey – an honour reserved for the winner of each stage of the race. Robot Food creative director Simon Forster says, ‘Le Tour coming to Yorkshire is a great opportunity for local brands. As two passionate Yorkshire-based companies, we couldn’t resist collaborating on a limited edition pack.